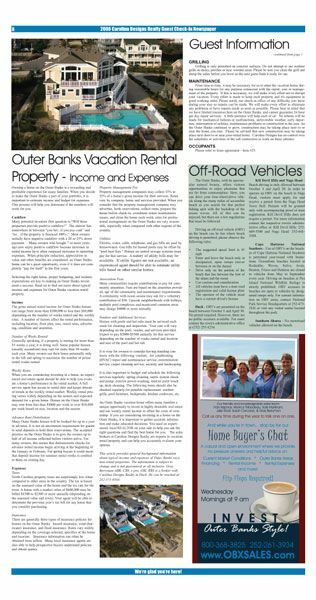 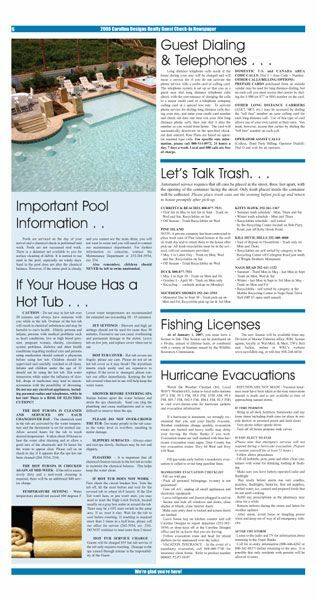 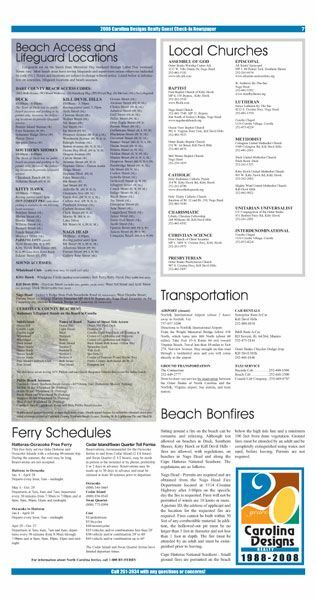 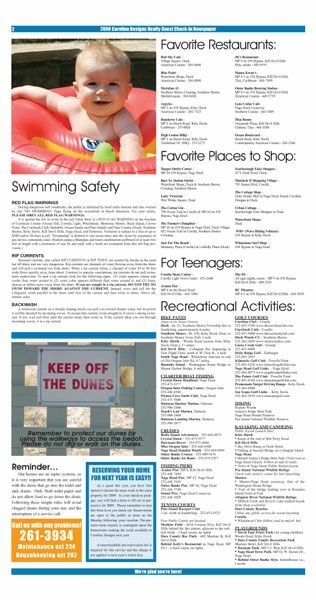 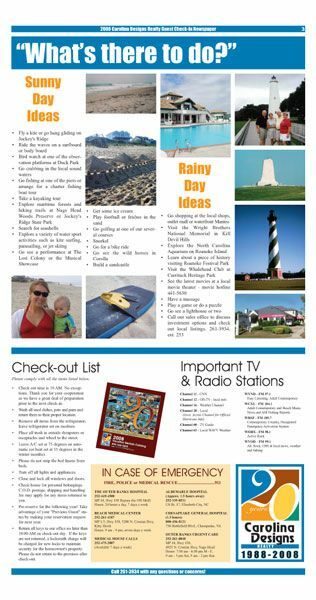 Welcome newspaper of helpful information for incoming vacationers. 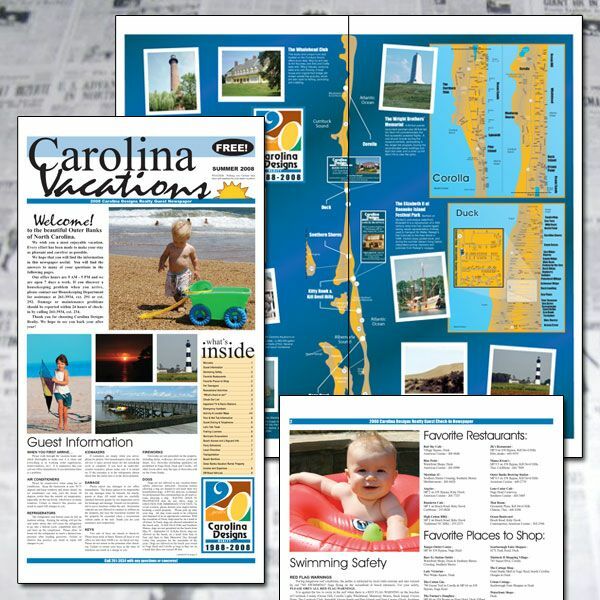 Bold Print Design Studio developed the first template that is used year after year to produce the newspaper. 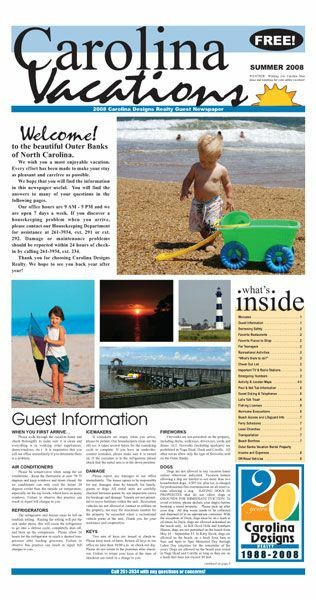 Each year we are responsible for giving it a fresh look by swapping out images and slightly changing the layout. 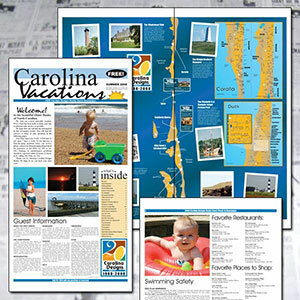 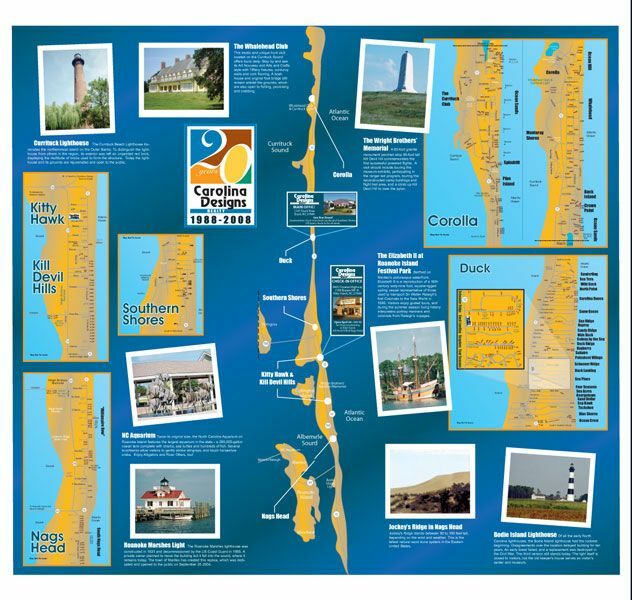 We are also responsible for changing the text and articles written by Carolina Designs staff.